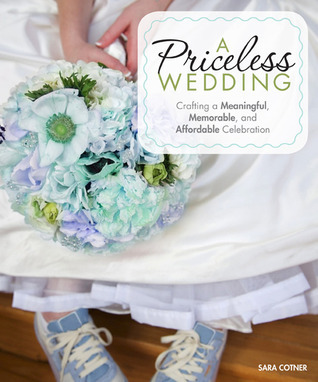 Click on these pages from A Priceless Wedding: Crafting a Meaningful, Memorable, and Affordable Celebration to enlarge and read how to make seed packet wedding favors. 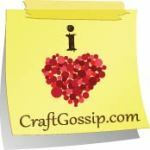 By entering in this contest you will be added to our Craftside family list. Wasn't that unusual, but a long time ago the couple put disposable cameras on each table so the guests could record the event from their own perspective. These days with cell phones, its a lot easier. Community & connection are super important in wedding celebrations and often overlooked. So excited. FYI: The pre-made tweet in the Rafflecopter has a size problem making it impossible to re=tweet. I wrote my own but you probably want to address this. Thanks for the giveaway. Asking people to bring in hand written letters to the couple that were place in a book. The couple's cake topper was clay models of their two dogs. Can I say I love a candy table? Those are always the best at a wedding! Would love to snag a copy of this book! Thanks for the opportunity! We used paper fans as favors since it was an outdoor reception.